Stacey Davis with the Richardson Public Library shared information about the history of the city of Richardson and the Heights Park neighborhood at Heights Park Neighborhood Association’s biannual general meeting on July 27, 2017.
Who needs ’50s or ’60s costume inspiration for our next general meeting? The best-dressed man and woman will receive $25 gift cards! Neighbors are invited to learn more about Heights Park and Richardson’s history and celebrate the culture of the era at the biannual general meeting — Richardson Retro. The meeting starts at 7 p.m., Thursday, July 27, First United Methodist Church Richardson, Ogden Hall. 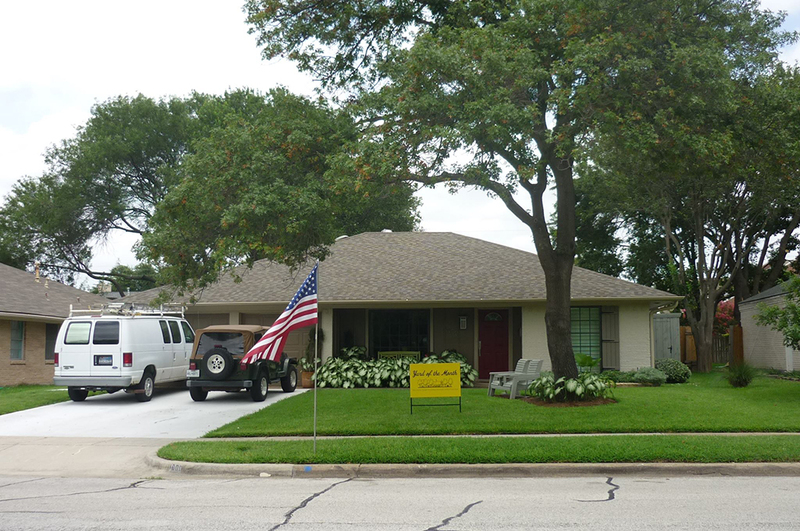 Stacey Davis with Richardson Public Library is returning to share fascinating facts, archive photos and more about Heights Park (you won’t believe how much our homes cost in the 1950s and 1960s) and the city of Richardson. We are collecting school supply donations for teachers at Heights Elementary School. The teachers are requesting: Expo markers, hand sanitizer, Clorox wipes, pencils and erasers, and Kleenex. Bring your donations to the meeting. To honor the neighborhood’s history, please join your neighbors in dressing in 1950s and 1960s fashion. The best-dressed man and woman will receive $25 gift cards! Some stores to consider for finding costumes or vintage clothes — Party City in the Heights Shopping Center, Thrift City in Richardson, Dallas Vintage Shop in Plano, Lula B’s in Dallas, Dolly Python in Dallas, and The Groovy Coop in McKinney. Do you have some awesome photos of your house and the neighborhood from back in the day? Show up with them at the meeting a little early so we can display them for others to see. Be sure to put your name and contact info on the back. Stacey Davis might want to make copies for the library’s archives. “We have lived in this home since 2004. Slowly, we have been working on the inside and outside areas. About three years ago, we painted the brick exterior and replaced the windows and shutters. That made a big difference in the curb appeal of the home. That change inspired us to continue working in the yard — both front and back. Each summer since, we have been experimenting with caladium bulbs — usually buying them in bulk from North Haven Gardens. This year, we planted 200 Aaron jumbo caladium bulbs in late April. They seem to be doing the best of all the caladiums we have planted over the years. “We have also planted elaeagnus shrubs along the south side of the house, which have filled in nicely, and seem to like the soil. On the north side of the house, we have planted a border of Indian hawthorn. We have also created a small garden of Indian hawthorn plants in the front. On the front patio, we have different begonias, most of which we winter in the garage. “Our home is a wonderful gathering spot for our family and friends, and many times we gather in our back yard garden, where we have planted a border of Savannah holly.